Why? Because she got to hear Hillary Clinton speak and had people drive her around the nation’s capital as part of her invitation to attend the Human Rights Campaign’s National Dinner in Washington, D.C. Oct. 28. Kelley — a junior at Pitt studying applied developmental psychology and one of the winners of the first ever Live Proud on Campus scholarship contest — attended the HRC dinner as part of her prize. AT&T and the HRC announced the winners, including Kelley, Oct.19. The contest called on college students, ages 18 and over, to submit video pitches for projects that would support and foster LGBTQ+ acceptance and equality on their campuses. As a resident assistant in Nordenberg Hall, Kelley went through training week for RAs, before the fall semester, which includes information on study skills, resumés, mental health, alcohol awareness and sexual assault. But she felt something was missing — a basic education in LGBTQ+ issues. With her project, Kelley aims to implement training for all incoming students that follows the guidelines of The Safe Zone Project, a program that educates people on LGBTQ+ issues. Although this training already exists for RAs at Pitt, she said it’s important to spread this knowledge to everyone on campus. “I think there is just a general lack of education on the ‘qia’ part of LGBTQIA+,” Kelley said. Kelley wants to help educate people on the nuances of sexuality and gender identity. Three AT&T employees from the Leadership Development Program, who all have a background in working with LGBTQ+ organizations and marketing, were the first round of judges, narrowing the videos down to the top 15. The public voted for its favorite videos on the contest web page and pared it down to six contestants. From there, the HRC selected the final three winners. The prize for the three winners included a $10,000 scholarship, a $2,500 budget for the project, a semester-long mentorship program through video conferences with the HRC to develop and organize their projects and a ticket to the HRC’s annual National Dinner in Washington, D.C.
Before entering — and winning — the contest, Kelley would constantly see ads about Live Proud on Campus as she scrolled through her Facebook feed. But it was not until after she witnessed the first Westboro Baptist Church protest on Pitt’s campus that she was inspired to enter the contest. In her video, Kelley pitched her idea in a storybook format, flipping through pages in a spiral-bound notebook of stick figure drawings and dialogue bubbles she created to communicate her message. In the video, she explained how her mother would always tell her to give people the “benefit of the doubt” and to be understanding because people grow up in different environments. But Kelley said this ideology can be problematic at times. Kelley said because she is reserved by nature, being on camera the entire time would have made her flustered and nervous. Her storybook video format allowed her to hide her face and voice over the video. At first, when Kelley saw she was in the top six, she thought it was “pretty cool” and something to put on her resumé. But finding out she was a finalist was a shock. “The voting came out and I refreshed [the page] and I was like ‘oh that’s me up there again!’” Kelley said. Deputy Director of Employee Engagement at the HRC Beck Bailey will be virtually mentoring Kelley, along with other HRC members, on how to plan and execute her project. They will help her to stay within the $2,500 budget and come up with an operational plan. 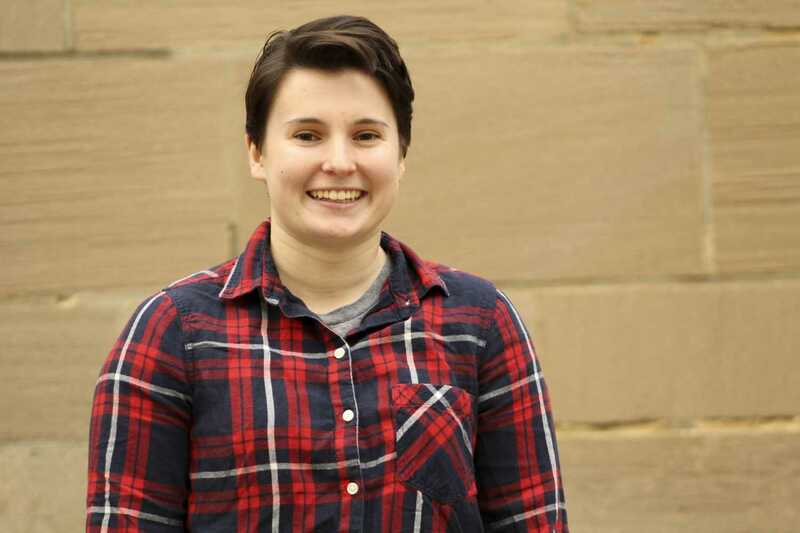 Kelley wants her project to be student-run and plans to reach out to Pitt’s LGBTQIA+ Affinity Group to utilize their resources with allies training and mentorship. She recently had the idea to also create an anonymous survey in which people could submit questions they are afraid to ask about the LGBTQ+ community. She said a lot of project specifics aren’t yet solidified, but her main objective is to involve people and have them feel open to asking questions.